Users of GoPro will now be able to stream footages live on the popular social media platform, Twitter. On Tuesday, the maker of the action camera announced that it is integrating with Periscope, a livestreaming app Twitter bought last year. The integration currently only works on the iOS system with the GoPro Hero 4 Black and Hero 4 Silver GoPro. The Periscope app will automatically recognize a GoPro when connected to an iPhone, allowing users to instantly broadcast footages to audiences. Users can choose to toggle between the iPhone view and the GoPro view on their phones while simultaneously monitor their on-screen chats. 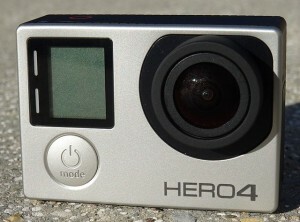 Video footage from the broadcast will be saved into the GoPro’s SD card. This convergence in strategy by GoPro and Twitter reflect their intent to cash in on the growing popularity of livestreaming, particularly among younger audiences. Both companies are currently experiencing slower growth, and seek to rejuvenate its business through attracting new users. This livestreaming function has also been gradually introduced by YouTube and Facebook for their users. Apart from Periscope, the camera company have previously teamed up with another livestreaming app Meerkat last year, as well as released its own version of high-end transmitter called HEROCast that is aimed at targets professional broadcasters. This announcement comes two weeks after Twitter announced integrating Periscope’s live broadcast within its timeline. “This brings the Periscope format to people who have never experienced Periscope, or don’t know what Periscope is,” says Aaron Wasserman, a Periscope engineer.